Is another shop next to the Chao Phraya River And saw the scenery of Wat Arun again as always But the food line is health oriented The shop will maintain the blend of Sino-Portuguese architecture. In the shop is divided into inner and outer zones, with 4 floors, each of which is different. As for the food Is a blend There is a taste that is not unusual. 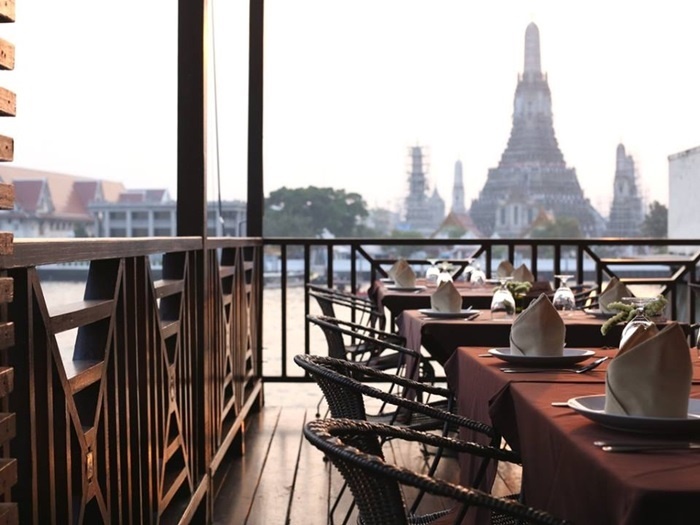 Sit and watch the sunset Mixed with the river of the Chao Phraya River plus delicious food Wouldn’t be a good day, right?